Need a reason to get up and get out of bed on a Saturday morning? 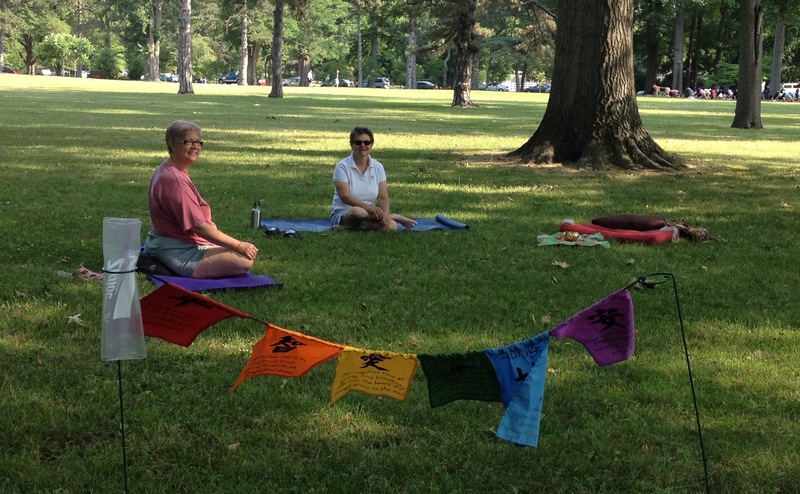 Come join “Sitting in the Park,” a newly formed meditation group that…well….sits in the park! When: Every Saturday morning, weather permitting, from now through October. 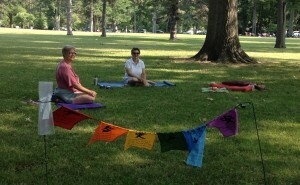 Where: Near the Farmer’s Market in Tower Grove Park. Photo: Shown here are Jan and Nina. Cindy, who leads the group, is taking the photo.